So Matcha Goodness - Get to Know the Benefits of Matcha & Why You Need to Start Drinking it. If you guys haven't heard yet, everyone had gone crazy over matcha - myself included! I'm SO OBSESSED with the green powdered goodness that is matcha, that I barely drink coffee anymore. SAY WHAT?! You read that right - I only really drink coffee in desperate times or if I'm enjoying a PSL or other lattes from some of my fave coffee shops. But TBH, if that coffee shop sells a matcha latte, that's what I'm getting. I've gotten TONS of questions on how I make my matcha at home, and I don't blame ya'll one bit because I post ALL THE TIME about my matcha craze! If you don't know what MATCHA is, it's basically finely ground up green tea leaves (not just the regular kind, the really really good kind) and it's got A TON of health benefits to it. I've been drinking matcha for a couple of years now, and I absolutely love the taste of it & how it doesn't give me that coffee-crash. (I drink coffee from time to time too, don't get me wrong! But, I don't live off of coffee anymore - at least not right now and I hope to keep it that way). If you want to find out more about the health benefits of and what makes matcha different, click HERE. Today, I'll show you guys how to make matcha in TWO different ways. The first will be the traditional way, made with just hot water and a bamboo whisk. The second will be my go to recipe, which is the matcha latte. 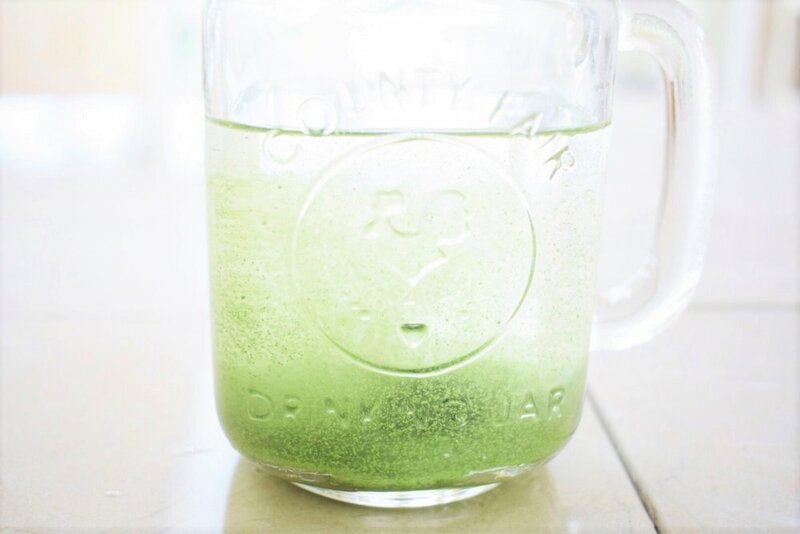 So, keep on reading to find out how YOU can make your own matcha drink at home! This is probably THE EASIEST matcha recipe EVER, which takes DIY Matcha on a whole new level. - Then, just add the ice, and VOILA! 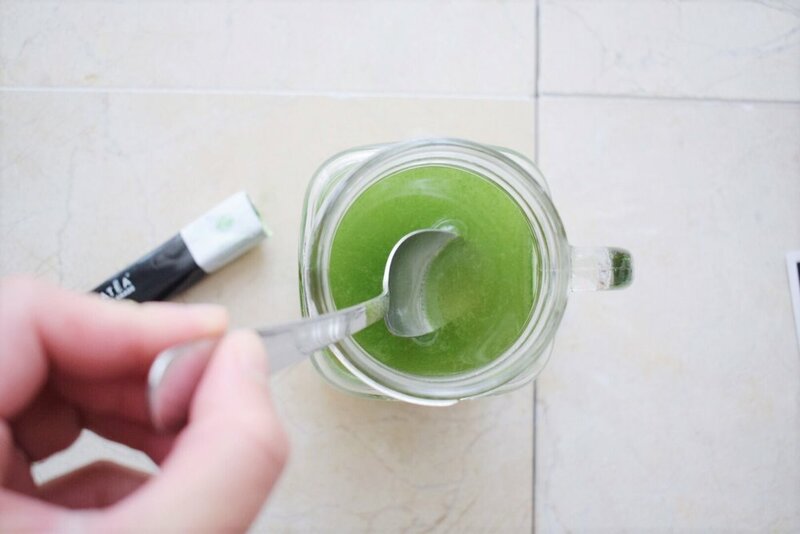 You've got yourself an iced matcha! This recipe is my GO-TO. RIDE-OR-DIE. TRIED-AND-TRUE. Y'all ready for my DIY matcha latte recipe?! - Optional: sprinkle extra Matcha on top! I'm loving the options of being able to make a quick matcha, but also being able to make it into a morning ritual and sipping slowly on that warm creamy matcha latte! What would your choice be: Are you an on-the-go person who likes iced matcha? Or are you a slow-down type of person and enjoys the ritual of making your morning matcha latte? 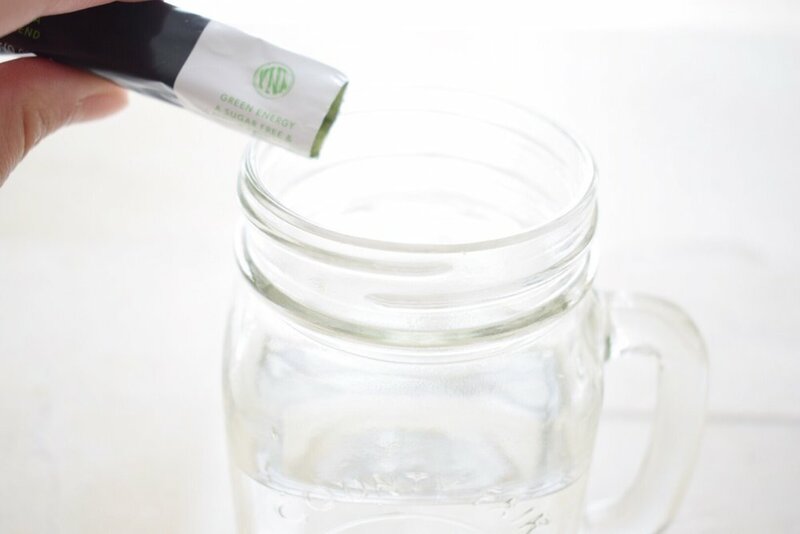 These are the best ways I've found to make my DIY matcha drinks and I thank PANATEA for graciously sending me a few samples of their matcha to try out! If you'd like to try too, you can use the code "DOROTHY15" for 15% off your first order! Today I'm going to be highlighting my favorite restaurants to go to in Jacksonville, FL. They're going to be broken up based on: Breakfast, Brunch, Seafood, and Anytime. I'm so excited to share these with you because I truly do enjoy going to these places & whenever I get to go home from medical school, I try to visit most of them! Beach Diner: This is such a CUTE brunch area, that is actually located on Atlantic Beach, FL (at least the one that I've been to - they have multiple locations!). Yes yes, technically not Jacksonville, but really they're all accessible within the area. It has your typical breakfast foods & perhaps you can go for a walk by the beach after. Zeta Brewing: Bottomless Mimosas. Need I say more? Also their shrimp & grits are BOMB DIGGITY. This brunch place has a fun vibe and is right off Jacksonville Beach. So Brunch then beach! Taco Lu: Taco Lu actually has a great brunch menu! I love the Huevos Rancheros. Beside brunch, lunch and dinner time is also yummy there! Hoptinger: I've been here for a very late brunch - which should really be considered lunch. And then an early dinner. I'm pretty sure the menu stays the same and they've got a lot of fun options! My favorite is the Rise and Shiner. Safe Harbor Seafood Market & Restaurant: I'll go ahead and let you in on a secret - and this was inspired by my fiance and his parents: buy some of the seafood there, and you can have them cook it instead of ordering what's on the menu (save, the sides and drinks). Whenever my family and I go, we go for the calamari, steamed-shrimp with Old Bay seasoning, fried flounder, and I can't remember what else. Then we order some sides. I'm pretty sure you can feed a village when you do this. BUT HEY - don't let me stop you from ordering from the menu because I can assure you they're amazing as well. Julington Creek Fish Camp: This is another place that has a REALLY good Shrimp & Grits! They also have multiple locations throughout Jacksonville and surrounding areas so be sure to check them out. Angie's Subs: If you're going to be around Jacksonville, you HAVE to come here. This is a local favorite. I always get the Peruvian + a big cup (because that's your only option) of sweet tea. It's a favorite place to go after the beach. Hawker's Asian Street Fare: If you're. feeling some Asian street food, Hawker's will be your bae. I absolutely love this place. Wait time can get pretty long especially on weekends. Gosh, even weekdays especially nights. But I would say it's worth it. They've got a VARIETY of dishes and it's tapas-style. PSST! They're building one by Neptune Beach... AND IT LOOKS AWESOME. Flying Iguana: Tacos FTW. These are not your regular tacos, they've got their own spin! Like having watermelons and crispy pork belly, or buttermilk fried chicken & gravy. Also, on weekend's they've got a local musician playin' some tunes too! Biscotti's: The GOAT. CHEESE. SALAD. SO yummy. Also did I mention they have THE BEST DESSERTS?! Stay tuned for the last post for the JaxFaves Series which will be all about desserts, where I'll elaborate more about Biscotti's and BB's (which is the next restaurant), and other dessert places. BB's: BB's and Biscotti's are actually sister restaurants! So their desserts are pretty similar (which again i'll talk more about next time). My favorite from here is the Grilled Salmon Salad. Bowl of Pho: I don't get to eat a lot of asian food while I'm in medical school, so when I come home I go to Hawker's & Bowl of Pho. I always get their Pho (#1) and their fried vietnamese rolls. Mr. Taco: Okay this is the third taco place I've included, BUT these are the REAL DEAL. The most authentic tacos are from Mr. Taco which I (and the fiance) mostly go to their taco trucks which are posted around the town. They also have a restaurant, but I enjoy going to the truck more! I hope ya'll can try these places if you ever are in the area! Also, if you're from Jax, what are some of your favorite places? If you're a fellow second year medical student, you know that it is officially Board-Study Season. And I don't know about you, but I definitely feel the stress already. A few medical students who are a year or two ahead of me gave some of the same tips, and it is this: DON'T GET BURNED OUT. Does this phrase give any one else chills? It's a topic that is commonly thrown around within the medical community - whether students, residents or so on. Now that we're officially in this season of life where it seems like the "end of this tunnel" will never come, I truly believe that this is one of the times in my life in which I really need to be more aware of my mental, physical, emotional and spiritual health - so as to prevent this thing called "burn out". As if I, and other medical students don't already get "burned out" from constantly studying during the year, we now have one more thing on our plate - a big thing - that we are up against. So what can I do now to hopefully keep this burning out thing at bay? 1. Community - surrounding myself with friends who are on the same mission, as well as those who can encourage me and keep me grounded is crucial. I've been blessed with friendships here at medical school and back home where I can go to those friends for encouragement, advice, fun - anything really. Another thing that ties in with this is "intentionality" (is that even a word?) because these friendships and relationships are not cultivated without putting in time and effort. 2. Fitness & Eating Clean - I've talked about this before in a previous post, but I love working out. My body can tell when I haven't been moving and eating well, and it tells me to get movin' and get back on track. I guess I've become more aware or in-tune with my body, which is something important especially with the very busy life I lead. It's important to know when it's time to slow down, take care of yourself, so that you can better focus on your goals. Exercise & meal prep! Exercising not only keeps you physically fit, but also mentally fit! But HEY - don't forget to treat yo'self though. Take rests days and if you're needing that chocolate, ice cream, chips (whatever your weakness is) - GO FOR IT - just remember, everything in moderation! 3. Faith - whether times are good or tough, my faith is something near and dear to me. I know that no matter what happens, I can fall back on it and know that everything will be ok. Life is not perfect and things don't always happen as I think they would. But I know that if I continue to believe and have faith that things will work out for the best, they usually do! I'm hoping that these things will carry me through the next few months, and even through the rest of my career in medicine. What are your favorite ways to prevent burn out? Have you experienced it yourself? What did you do to recover? I'm all ears to any advice! PS. Aren't those pillows the cutest? This is one of my current favorites because I need all the motivation I can get for these next few months. Check more out at F R E E L Y by clicking here. (Many thanks to my friend Ashley @ F R E E L Y for this wonderful piece). HNY Everyone! With the new year comes new things for the blog. I'm super excited to announce this series which will highlight some places in Jacksonville, FL - or as I refer to it "Jax" - that I love going to. This post will highlight COFFEE SHOPS that I personally love to go to, as well as those that I have yet to go to and would love to visit. Whenever I'm home for the holidays or any other type of break, I cherish going to these places because this city is near and dear to my heart as it is home. I hope you enjoy & one day if you're ever visiting the area, check these coffee shops out! 1. Bold Bean: With three locations and counting, this is one of my favorite places to get a latte at. One is located in Jax Beach. One in Riverside. And the newest one is located in San Marco. These three locations totally fit within the neighborhoods/area that they are in and I adore each one of them. It's a great place to sit and have coffee with your friends, or try to get some work done. If you go, try: a latte with Spicy Chocolate syrup, or Vanilla. 2. Brew - Five Points: Located in Historic Five Points (and next to other places I love going to), Brew has once of the best Matcha Lattes in town. TBH, I haven't seen other coffee shops with matcha lattes, and if you know me, you know my love for matcha. Their matcha latte is definitely a more traditional in a sense that it's not sweetened already like it is at Starbucks. That way, you really get that flavor of matcha goodness. YUM! If you go, try: Obvs the Matcha Latte. Hint: Get it with soy milk if you like a little more sweetness. 4. Sippers Coffeehouse: If you have some serious studying to get done, or have a deadline due while you're in Jax, go here. The environment is a little bit more quiet which makes it great for a more intense coffee shop study sesh. It's also very cozy and home-y so it's not like you're in the library studying either. If you go, try: Chai Latte, with one of their muffins (some are available gluten free). 5. Three Layers: an oldie, but goodie - to many anyways because it's been a while since I've gone. But, Three Layers is such a great spot to just chill, sip on your coffee, along with their amazing pastries. They also have a garden in the back, which is super dreamy & it's called the Zen Garden. What are you favorite coffee shops in your area?! (Recommend some down below, so one day if I ever visit, i'll know exactly where to go).